Here are two new Tesco Organisation releases, both of which were issued as special items as part of the Tesco Organisation 30th Anniversary Festival in October, 2017. 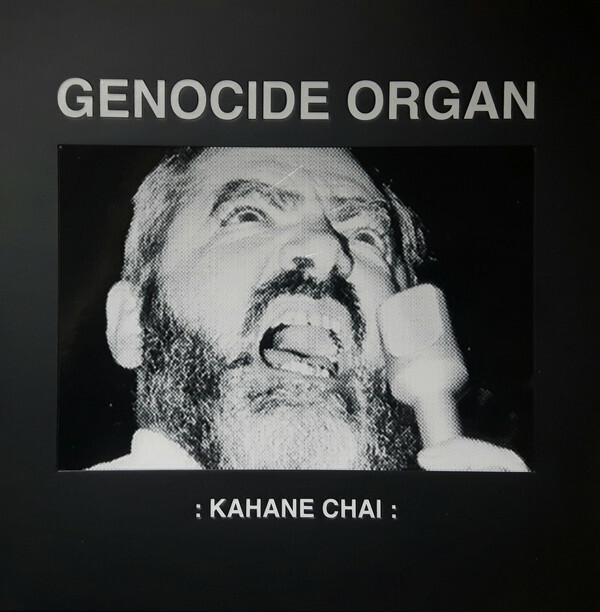 Any new release from Genocide Organ is welcomed news, where for this new 7”EP the group’s analysis of ‘nationalism’ in all its varied perspectives has been applied to Rabbi Kahane and his radical Israeli Orthodox Jewish ‘ultranationalist’ political party Kach, which later splintered into Kahane Chai – a hard-line Israeli militant advocating for the expulsion of Arabs from Israel. Interview samples of Rabbi Kahane are used within both tracks, where it becomes quickly apparent to why Kach as a political organisation was barred from elections on the basis of inciting of racism against Arabs. Two dates are also printed on either side of the vinyl, which reference the date of his birthday (1 August, 1932), as well as the date of his assassination (5 November, 1990). To speak of the music, Kahane Chai on Side A features a backbone of straight forward wavering synth loops, mixed with mid-toned squelching textures, while the vocals differ form the usual style in that that are treated in a heavy wash of blurred distortion which bleeds from the top to the bottom of the mix (and consequential picking the lyrical content becomes extremely difficult to decipher). Kach on Side B is far less aggressive than the first, featuring a lone low pulsing synth line and coupled only with interview samples and slightly treated whispered vocals, and while extremely minimal by usual Genocide Organ standards, it is still a very effective mood driven track. Via the two short tracks Genocide Organ again demonstrate their total mastery of using the simple and/ or minimal sonic elements, but wielding them in such a way to make them sound far more powerful than the sum of their mere parts. When this then is coupled with the strong conceptual underpinnings, it makes for yet another excellent release in their discography. The festival edition of 250 copies (blue vinyl), and the regular edition (black vinyl) are already sold out (as might be expected), so happy hunting if you want to track one down at a reasonable price. With many lamenting the demise of Anenzephalia in 2014 (excluding the brief reformation for the live performance at Tesco 30th Anniversary), the continuation of Ke/Hil was a partial consolation given it features the same duo of Brigant Moloch and Wilhem Herich. It has been a bit of a revelation to see exactly how far the project has evolved in sound and approach from the 2010 Ke/Hil debut Hellstation. 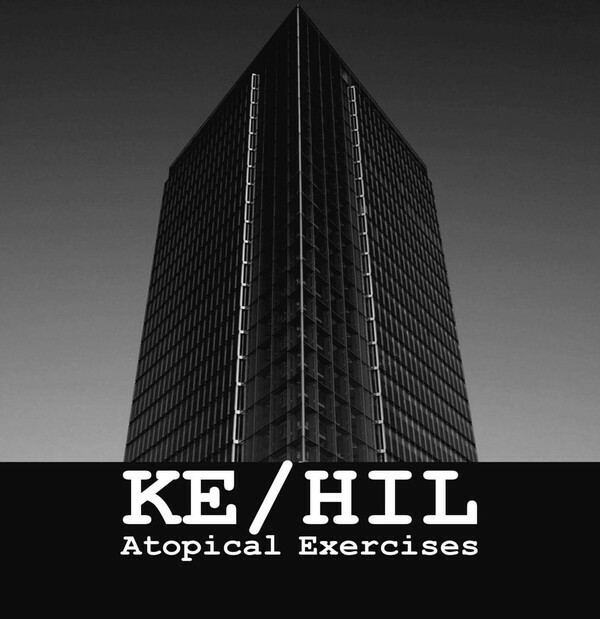 This new three track 12″EP Atopical Exercises has followed quickly on the heals of the third album Syndrome/Antidrome (also from 2017 and reviewed here). Repulsive Appreciation leads off and sets the scene with wailing emergency sirens and a heavy and hollowed out loop, before a wonky rhythm and maudlin synth drone kicks in hard along with the apathetic yet semon styled vocals (which aligns with the established theme of social conditioning through urban design). Very much of the now established Ke/Hil heavy electronics style, this is also a pinnacle track within their catalogue. Little Rose follows in a laid-back style, and while simple in construction, it is a very effective example of hard hitting minimalism. With a central revving ascending/ descending drone and a scattered backing of echoed junk metal elements and a muted vocals delivery (which rather than lyrics appears to be the reciting and repeating two lines of a poem). Syn/Kope features as the final track on Side B and is more akin to a sprawling death industrial style given its slow bass kick, wavering lower end textures and cavernous sonic aesthetic. While a dialogue sample also sit within the mix, it takes a secondary position to the main vocals which sit prominently front and centre, which strongly advises us to “beware the beast-man”. A clear observation to be made is that this new 12”EP is very much a continuation of the gradual honing of the sound of Ke/Hil, and certainly bodes very well for what is anticipated to still come from the project. 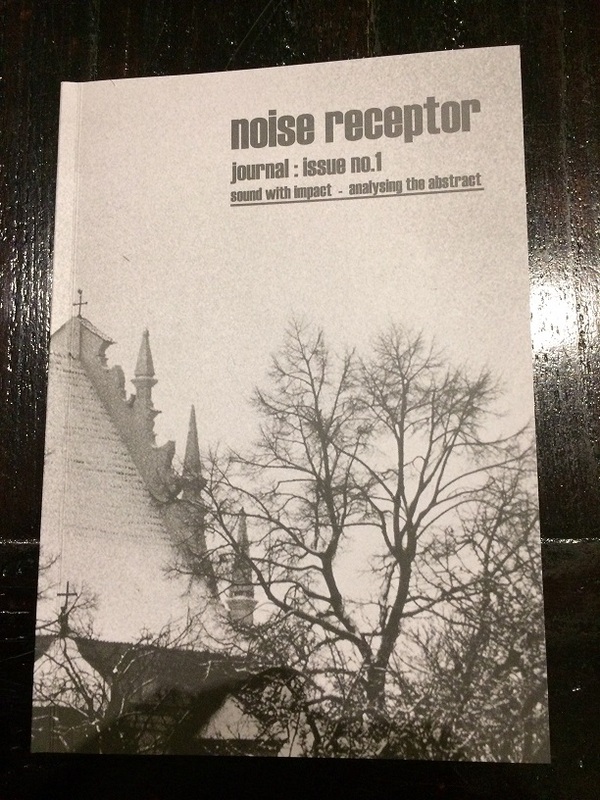 Limited to 250 copies and surprising that it is still available at the time of writing. 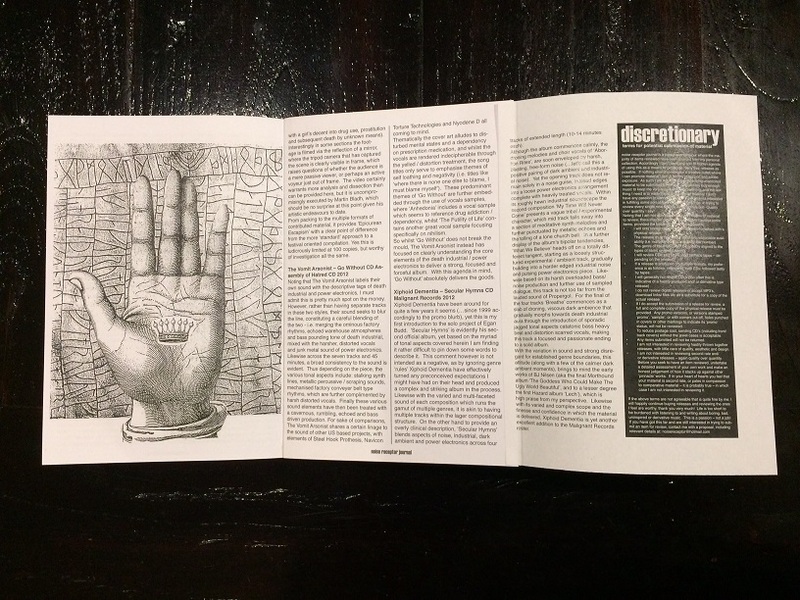 Unsound Recordings functions as a side label to Unrest Productions, where I understand its role is to allow smaller releases to be issued more quickly with simplified packaging. Although the last items on the label date from 2015, now in 2017 it brings new releases from two young projects and new signings to the roster, namely Detrimental Effect and Code Neda. A brief rundown on each follows below. Thematically speaking, the US military/industrial complex may be nothing new for industrial and power electronics music. 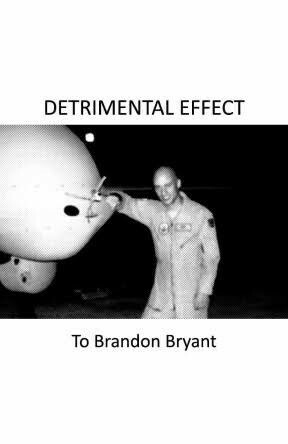 However, on this debut tape Detrimental Effect have taken a different and interesting angle by focusing on Brandon Bryant – a US drone pilot and later whistle-blower who highlighted the detached methods of killing in modern warfare. Musically speaking this is clean, loud and modern sounding, which also draws heavily from traditional German power electronics/ heavy industrial sound (and perhaps Ex.Order is the closest comparison to make?) . As such the tracks are based on honed structures of shuddering loops, waving sonic elements and bristling distortion which gradually ramp up in intensity. The mood is further elevated through the heavily treated vocals (flanged and echoed), and delivered with spite and tinged with indignation. Specific samples relating to the theme further fleshes out the concept and are used as intro or outros, or otherwise are incorporated within tracks. That Others May Die is individually noteworthy based on its base of scattered distortion, queasy central oscillation and deadpan spoken vocal line (slightly treated and echoed). Equally noteworthy is the overt fierceness of the final track Total Denial with its tonally buzzing loops and antagonist vocal attack, amounting to a very effective power electronics barrage. Direct and to the point, the material on this debut is delivered with both skill and conviction, which on occasion rises to blood boiling intensity. Six tracks in all feature on the tape, with perhaps 30 minutes of material on offer. Without doubt Detrimental Effect is project to keep an eye on, given it also fits neatly alongside many of the other projects on the parent label Unrest Productions (such as Kevlar, Kontinent, Uncodified etc.). 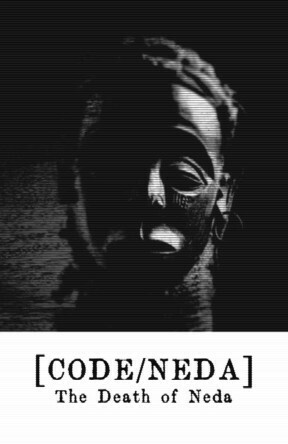 Code Neda are another new project signed to Unsound Recordings, but this time I know nothing about this project or who is behind it. This however appears to be Code Neda’s debut tape, and limited to 80 hand numbered copies. Musically speaking it features sweeping death industrial which on occasion is blended with elements of ritual tinged heavy electronics (something akin to mid to late 1990’s heavy electronics sound of Loki Foundation projects is a partial comparison). To speak of notable tracks, Tigray uses stilted heavy rhythms which provides structure to a widescreen atmospheric soundscape and sampled religious chants. 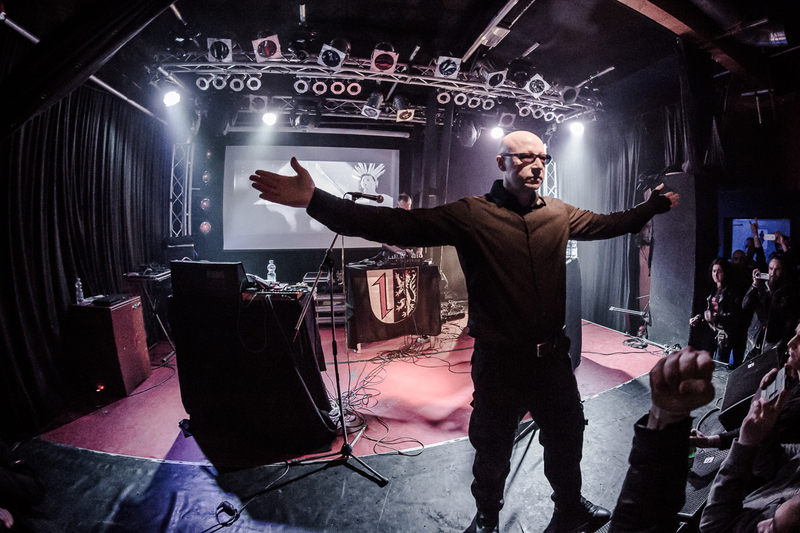 Another particularly noteworthy track is ABC – Protection, which is framed around deep sub-orchestral drones, militant percussion, scraping textures and muted garbled vocals. The final track The Machine Will Be Prevented from Working at All, is perhaps the most direct death industrial track based on its heavy pounding structures, bristling loops and treated samples (and perhaps vocals? Not completely sure). On the one hand Code Neda’s sound is dank and pounding in tone, but on the other it is balanced with other ritualistic and atmospheric elements, which functions to create an individualistic approach. Thus with six varied tracks and around 20-25 minutes of material, Code Nera have issued a very strong and interesting debut release and consequently are another new project to keep a keen eye on. Fall of Nature’s recent batch of tapes reveals four projects working within the spheres spanning dank and minimalist death ambient, to abrasive and harsh death industrial. With each project demonstrating their own twist and personalised take on these styles, following below is a brief overview of each of the four releases. With this long standing Italian project, their approach is of a sustained and minimalist death industrial type. Twelve tracks span both sides and with the recordings themselves deriving from 2003 this is a reissue of a tape from 2004 (but also issued on CDr in 2016). After a lengthy intro (based on a dialogue/ soundtrack sample), things get down to the business of issuing tracks based on moribund and loosely wavering oscillations. 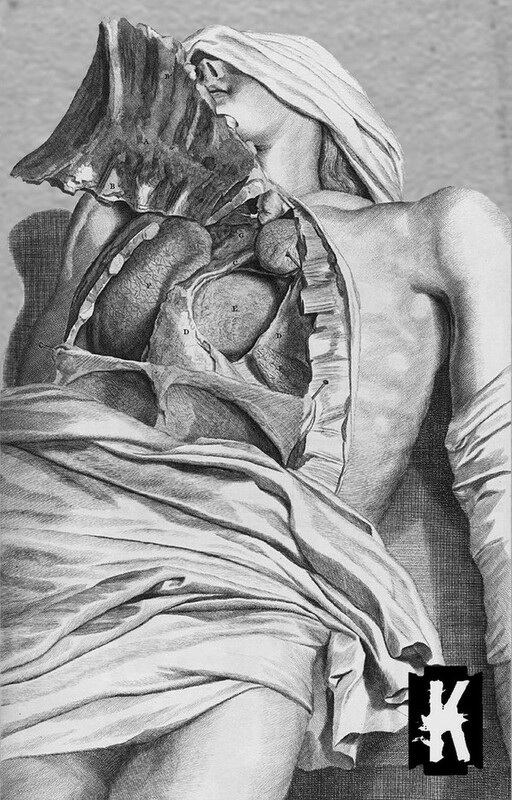 Despite the material being relatively simplistic, an all-important morbid atmosphere sits front and centre, regardless of whether the tracks are slowly plodding; or bass tone rhythmic; or minimal and soundscape based (Side B also contains a couple of tracks which use some prominent samples). Overall N. very much embodies an Italian underground minimalist death industrial sound (think Atrax Morgue for good measure), and this alone will give an idea of the quality to expect. 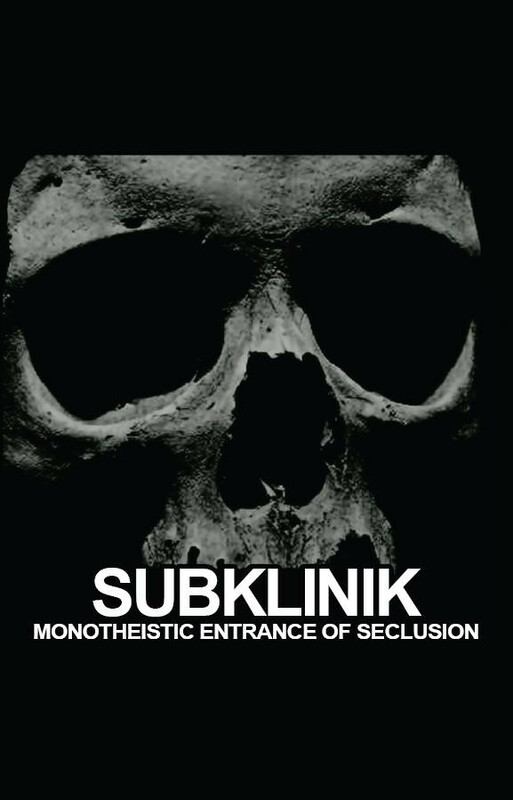 Subklinik is the solo project of Chad Davis, and on for this release it is a physical edition of a previously a digital only release from 2015. 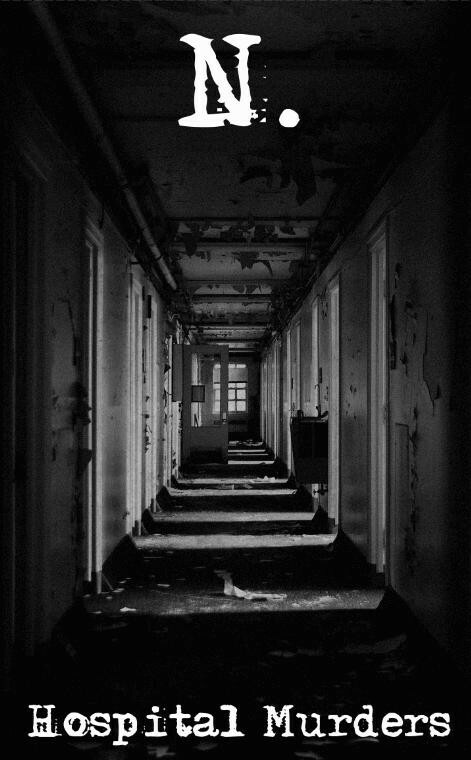 Taking its sonic reference from a grim death industrial sound, this has been distilled down into a minimalist death ambient/ dark ambient hybrid. With muted sub-orchestral elements (i.e. treated elongated vocal chants) and dank catacombal droning ambience, the sound is equally widescreen as it is enveloping. A general mood of muted stasis vs catatonic drift features across the 3 lengthy compositions. It also reminds of Lustmord’s heralded classic Heresy on more the a few moments, particularly as the sound and tone is not in any way clean or digital (more like choking grey to black toned). An excellently minimalist and deathly atmospheric tape. 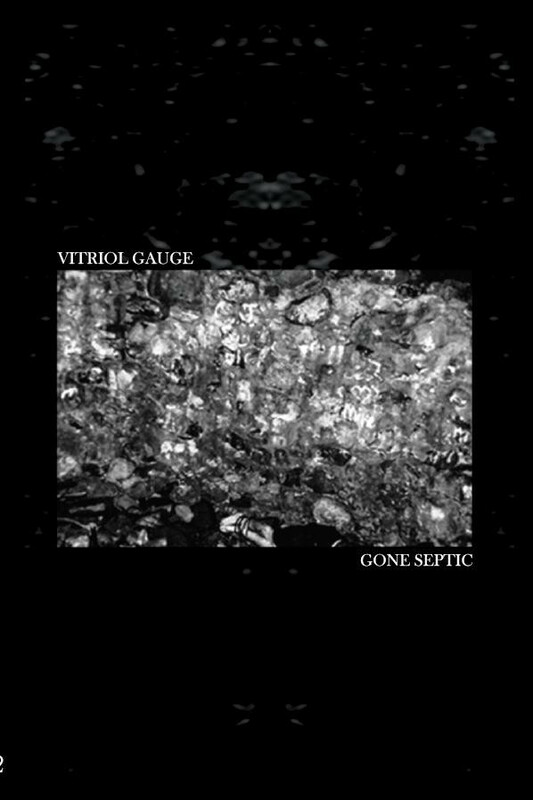 Vitriol Guage are an American solo project of Anthony S. Kuchta III (operating since 2012), who incidentally recently joined another American project United Front as their permanent vocalist. As for his solo works, on Gone Septic the sound is a murky but extremely heavy, and is delivered in a direct and pounding death industrial style. Generally the sound is based on heavy and slow bass driven layers which are mixed with muted minor keyed synth loops, but on occasion it pushes towards harder power electronics intensity. Likewise, when vocals are used they are either a blurred mass of distortion (fierce in their tone and delivery), or otherwise presented in a drawling spoken chant. Nine tracks are spread over the two sides of the tape, and while the tracks are each relatively short and to the point, they hit hard in the time they hang around. 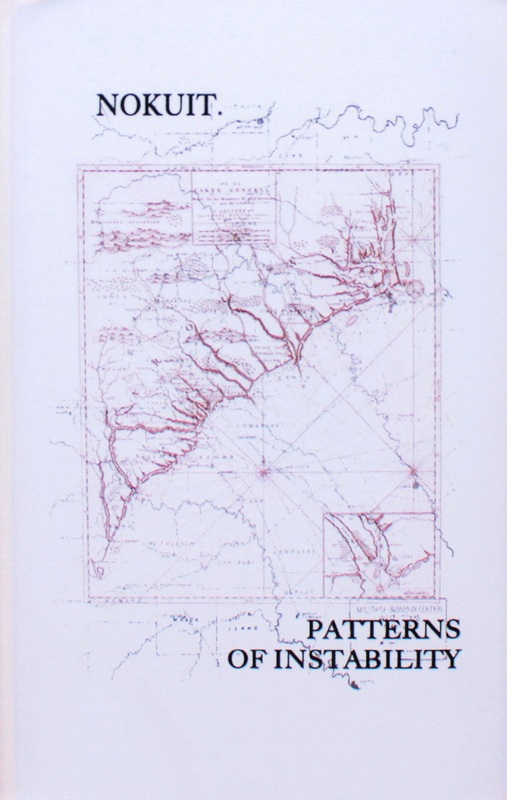 Being very much aligned with other current American projects such as Gnawed and The Vomit Arsonist, this is a very strong tape and a great introduction to this project. 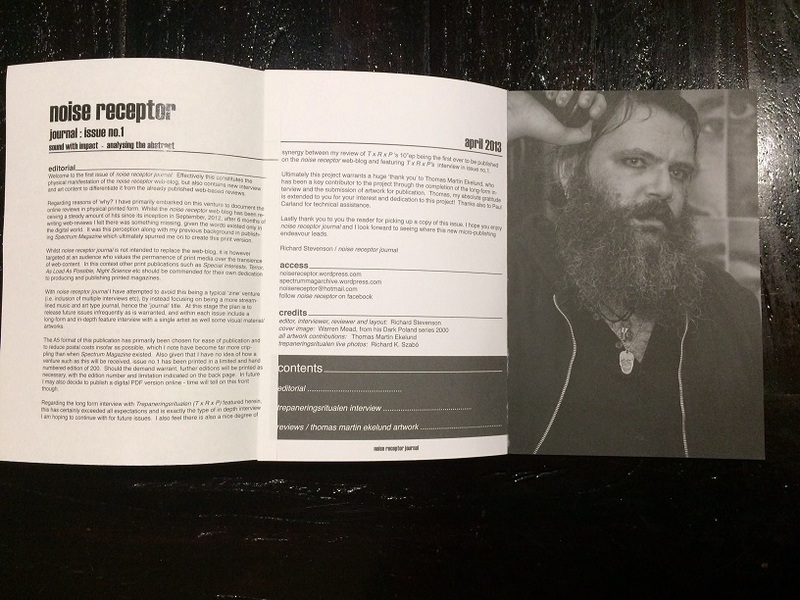 With Hypothermiasma the long standing and prolific Israeli solo project Kadaver delivers a sonically fierce tape . 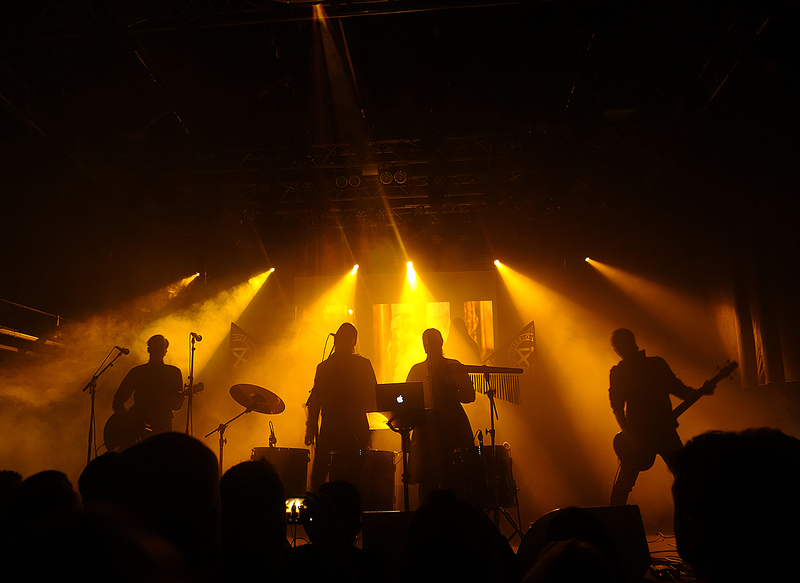 From the outset the sound is multifaceted and shredding, and stepping beyond a strict death industrial sound, given the sound features a swirling sonic maelstrom of loose noise and intense feedback. In the most part the tape is an exercise in the abrasive over the atmospheric. On Side A two of the four tracks are effectively straight noise workouts, while the other two are based on a variety of forceful loops that intersect and intertwine (and fall in out of sync based on some being slow and others fast and chaotic). The humorously titled 23 Shades Of Decomposition (first track on Side B), bring some respite given its ritual tone, sampled chants and minimalist soundscape, but this is short lived given the later introduction of an invasive needling tone. Likewise the following track Maruta reverts to obliterating overdrive, while the final track Pink Sabbath is of a muted death industrial type. Perhaps more chaotic in tone than what I would usually choose to listen to, this is still an expertly executed tape. As noted in the introduction, there is clear diversity in approach to be found on these four tapes, but based on my own sonic preferences, Vitriol Gauge is my pick of the bunch and followed closely by Subklinik.